If you work in environments where you're exposed to all four EN 388 hazards, it can be difficult to find a pair of gloves that protects you against all four dangers. 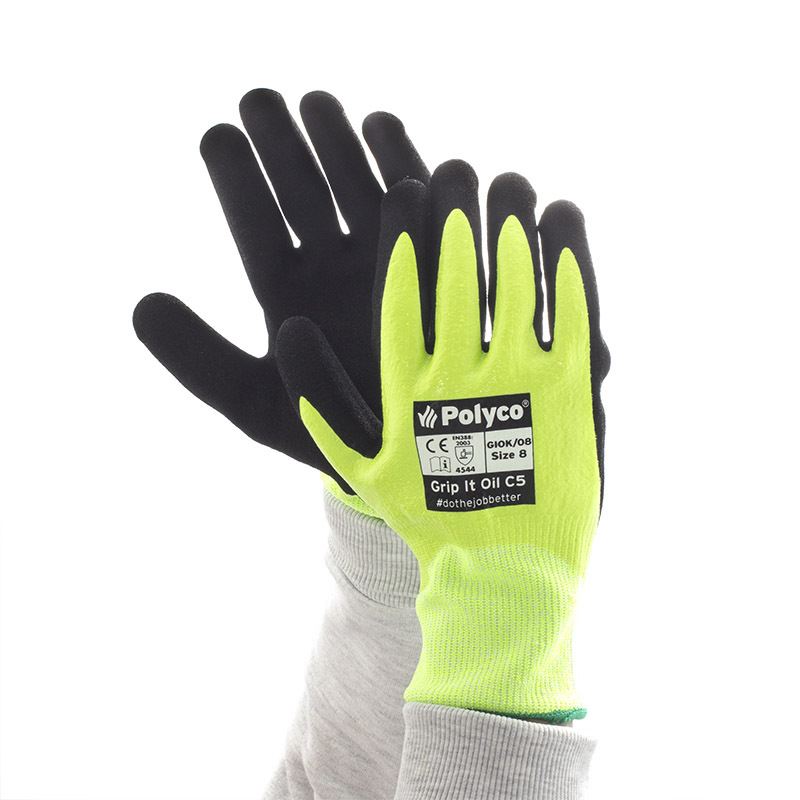 The Polyco Grip It C5 GIOK Oil Gloves have the highest protection rating for each hazard to provide you with excellent peace of mind. 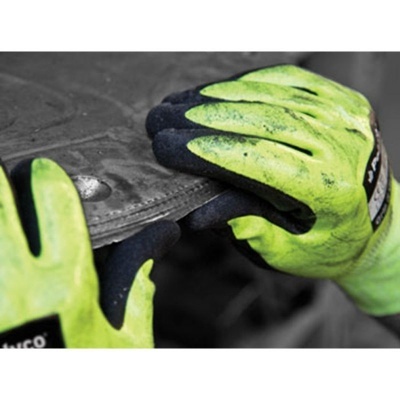 The Grip It C5 GIOK Gloves are available in five sizes to provide you with a more comfortable fit. To find out which size you require, please measure the circumference of your hand around the knuckles (excluding the thumb) with your hand open and your fingers together. You should then measure the length of your hand from the tip of your middle finger to your wrist.